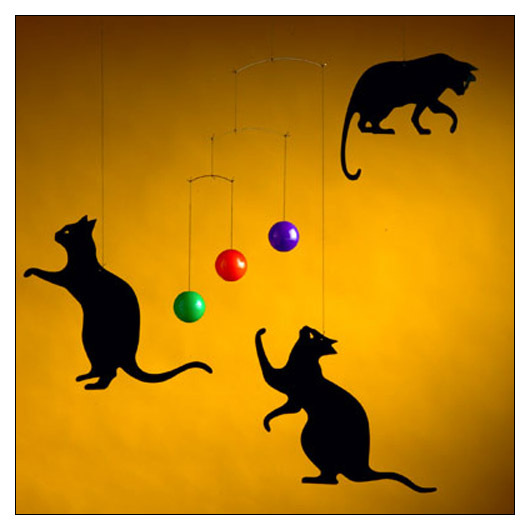 Feline Cats Mobile (FMCATS) at Pure Design / Accessories / Flensted Mobiles ::: Furniture for the Home, Office, Home Office, and More at Pure Design Online! Will these three black cats ever catch the balls? 12" x 8.75" x 1"